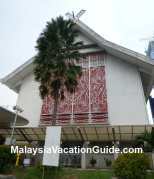 If you are into history or would just want to know more about the armed forces of Malaysia, head for The Malaysian Armed Forces Museum which is located at Jalan Padang Tembak in Kuala Lumpur. 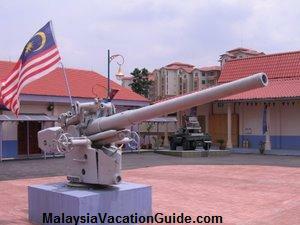 In Bahasa Malaysia, the museum is known as Muzium Angkatan Tentera Malaysia. The Armed Forces of Malaysia comprises of the Army, Navy and Air Force which was officially established on September 16, 1963. Since then, this date has been celebrated as the Armed Forces Day. 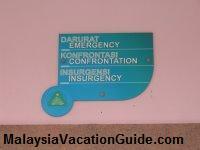 The entrance to the Emergency, Confrontation and Insurgency Galleries. The many challenges faced and contributions that the armed forces made were depicted in the artifacts shown here. Some of the challenges faced were protecting the nation's sovereignty from the communists, the confrontation with Indonesia during the formation of Malaysia as well as joining the United Nation's peace keepers in various countries. The emergency gallery displayed the pictures, events, maps and other artifacts to provide you with a picture of what happened during this time from 1948 to 1960. The declaration of the emergency was done during the time of the Communist Party of Malaya disturbance. Exhibits include the formation of the Briggs plan and the Baling talk. 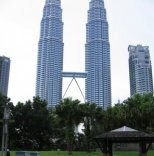 The end of the emergency was concluded with the peace agreement that was signed by Communist Party of Malaya leaders and the Government on December 2, 1989. This gallery shows the involvement of the armed forces with other international forces during peace keeping operations in countries such as Congo. Pictures, equipments used and the honour bestowed upon our forces are shown here. This gallery shows the start of World War Two and how the Japanese invade the country from the North. It also featured the equipment used during the war. An old bicycle used by the Japanese during this time is shown. This bicycle was also used to charge telecommunication batteries by taking turns to peddle the bicycle. Other items on display include the battle of Pasir Panjang at the beach and the surrender of the British to the Japanese in Singapore on February 15, 1942. Th exhibit ends with the highlights of the causes of defeat of the Japanese and the surrender in 1945. This piece of history is an important information to the newer generation who has never experience the difficult times during the war. It will help to remind one to be grateful for the peace and prosperity that our nation has been experiencing thus far. The spacious ground outside the Armed Forces Museum. 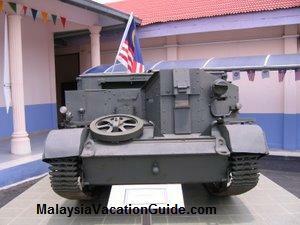 The armoured fighting tank that is placed on the exhibit at the compound of the museum. This type of tank was used by the British during the colonial time. Other galleries on display include the Chief of Defence Forces Gallery which was dedicated to the past Chiefs of Defence Forces for their contributions and services to the country. The Defence Minister Gallery is dedicated to the former defence ministers in helping to ensure the sovereignty of the country. Valor Gallery exhibits the courageous act of our Malaysian soldiers and the medals received by them. 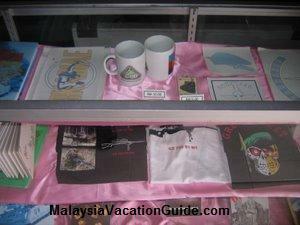 If you are keen to get some souvenir that relates to the armed forces of Malaysia, there are mugs, T-shirt, books, stickers, key chains and badges that you can purchase from the front counter of the museum. Some of the souvenir that you can purchase. 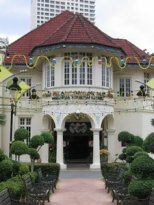 The museum is located in Jalan Padang Tembak, Kuala Lumpur. 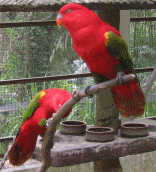 Head forKem Kementah as the museum is located at this camp. Taking a taxi to this place is the most convenient mode of transport. As this place is an army camp, you will have to take a pass before you are allowed to enter the premises of the camp. If you are driving, take note that you can ask permission from the personnel at the museum to allow you to park your car at the compound of the museum. Otherwise, you will have to park quite a distant away from the museum as there are not many parking bays available. The museum is closed on Fridays, Hari Raya Puasa and Hari Raya Haji Holidays. Check out the public holidays before you make your plan to come here. Admisson to the museum is FREE. Further information can be obtained by calling Tel: +6 03 2071 2010.